Modern medicine has made some amazing advances over the last century. But there is still no match for our most powerful diagnostic tool: body wisdom. 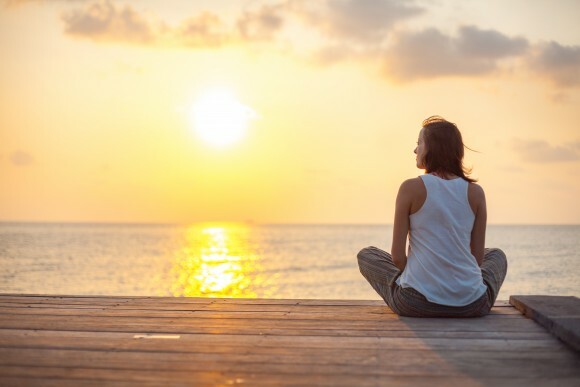 Body wisdom is our ability to listen to and interpret the sensations in our body that guide us toward what we need, according to Dr. Rachel Carlton Abrams, a family practice physician who is also board certified in holistic medicine. 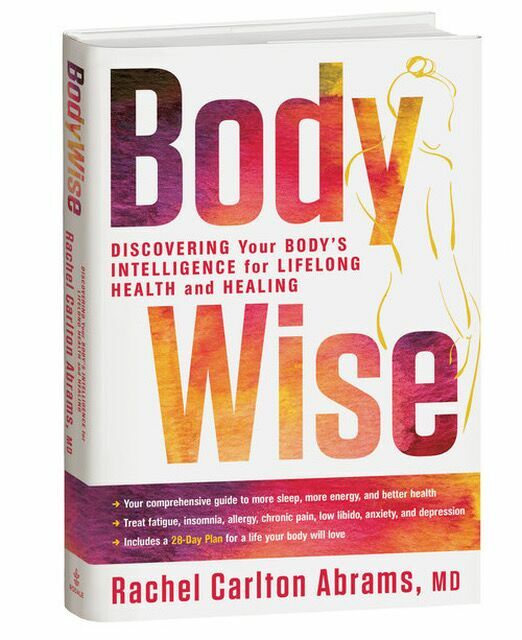 Body Wise: Discovering Your Body’s Intelligence for Lifelong Health and Healing. 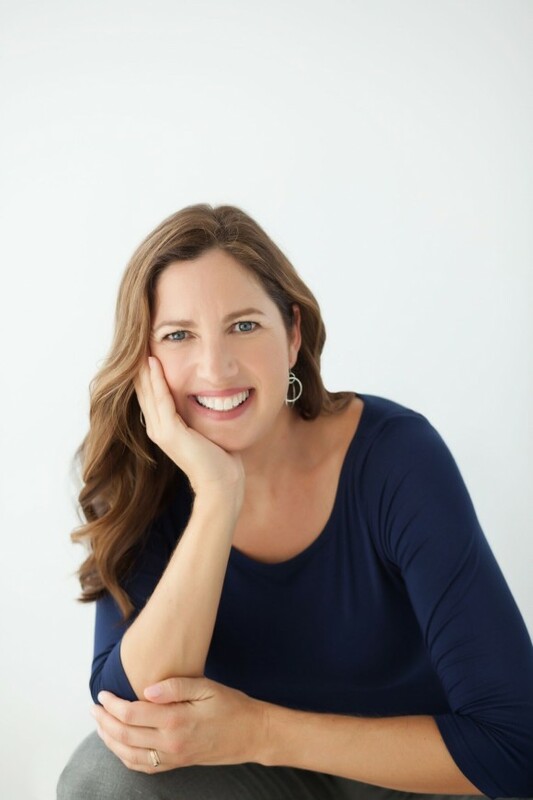 In her new book “Bodywise: Discovering Your Body’s Intelligence for Lifelong Health and Healing,” Abrams explains how we can learn to sense this often ignored guidance. Most of us can handle the body basics—hunger, thirst, and the urge to urinate—but we miss a lot of the more subtle messages our bodies try to send us, says Abrams. When we can’t hear or refuse to listen, the body’s call grows louder, urging us to pay attention. “When the body first starts to talk to us, it’s knocking on the door. If we don’t listen, the body gives us a shout. If we really don’t listen, it slaps us upside the head. Then we actually have a physical problem,” Abrams said. We live much more in our heads than in our hearts. This pattern is common in people who spend most their day sitting in a chair, behind a desk. This position may seem benign, but it’s not a form our bodies were designed to endure for hours on end. That’s why desk-bound people often develop head and neck pain, headaches, and carpal tunnel syndrome. “It’s the ignoring of those body signals that allow it to go from a little twinge, to an actual pathology where we now have disk disease because of so much breakdown,” said Abrams. Body wisdom is a new name for an old idea. It’s that gut feeling we get when something is true, even if we can’t explain why. Abrams says our society is suffering from historically low body wisdom, because we live much more in our heads than in our hearts. People today are quick to dismiss a hunch or vivid dream, while our ancestors often relied on these instincts to forage, hunt, avoid danger, and travel the land and sea. They were sensitive to subtle cues in the environment (and sensations in their bodies) because their survival depended on it. Technology has minimized many of the struggles our ancestors faced, but Abrams says our body wisdom has also faded in kind. In a world where we can order food online, earn a living by working on a computer, and travel virtually anywhere with little effort, the highly attuned senses our ancestors cultivated are of little use today. Technology has replaced body wisdom in medicine too. Before X-rays, echocardiograms, and MRIs, doctors closely examined a patient’s symptoms, habits, and environment. They combined observation and intuition to reveal the underlying pattern of imbalance in the patient, then came up with a treatment to complement this imbalance. 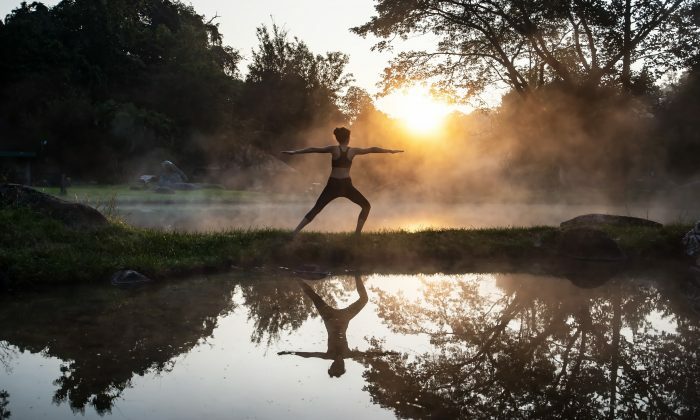 Such body-reading practices can still be found in Chinese, ayurvedic, Tibetan, and several other traditional medical systems that have endured for thousands of years. Abrams appreciates the tools modern medicine has to offer, and she applies them when necessary. But she worries that the system has lost touch with basic aspects of medicine. Doctors today usually don’t consult their intuition for guidance anymore, mostly because there’s just no time for it, so their diagnoses and treatments rely on tests and scans, Abrams says. These tools can provide specific details to rule out specific problems, but they fall short at addressing more systemic problems and promoting overall wellness. Ninety percent of illness in the United States is caused by lifestyle. You can’t fix that with a lab or MRI. Abrams personally felt this disconnect while working at a multispecialty clinic early in her career. Seven years into the job, she started to develop headaches. She sought relief from various treatments, but the pain persisted. Then, her osteopath noticed a pattern: Abrams only had headaches on days when she was at work. “I’ve always loved being a doctor, but a practice where you see a new person every 10 to 15 minutes is painful for someone trying to pay attention to why people are sick and not just write prescriptions, because it’s very difficult to do that in a short period of time,” she said. When Abrams realized her job was the issue, she decided she would quit. The headaches disappeared, even though she had to work there six more months. Once she addressed her body’s message, she no longer had pain. “I can’t explain that to you physiologically, but I can tell you that it is not an unusual story. I hear stories like that from my patients all the time. Their body is trying to signal them about decisions they need to make, or even about health problems,” she said. When body wisdom is combined with modern medicine, the results can be miraculous. One of Abrams’s patients, Sophia, a 26-year-old mother, came in because she feared she couldn’t have a second child. She traced her fear to a recurring dream of a snake biting her on the head and neck. Following the intuition, Abrams called for brain imaging tests which revealed that Sophia had tumors in her pituitary and parathyroid glands, right where the dream snake was biting. Sophia was unable to have more kids, but her body wisdom helped catch the cancer early, and she completely recovered. It also prompted her father to seek diagnosis and recover successfully with treatment for a similar condition. In Abrams’s current practice, she now spends an hour with each patient. The extra time allows for a deeper understanding for both doctor and patient. But you don’t need a doctor to hear what your body is saying. In fact, Abrams says it’s your responsibility to regularly tune in to your body’s messages. A medical professional can help assemble a clearer picture, but you have to provide the important pieces of information. When tuning in to your body, Abrams describes four levels to keep in mind. The first is measurements: keeping track of blood pressure, pulse rate, fat to muscle ratio, what day you’re on in your menstrual cycle, etc. This data can come from simple or high-tech methods, but staying on top of changes in these numbers can help signal a problem. The second level is sense: What do you feel in your body, and what is the quality of that sensation? Get specific. Is it dense, electric, tight, hot, or buzzy? Clear your mind, take a few deep breaths, and let the sensation tell its story. The third is feelings: Try to identify if your pain has any emotional context. Could it be connected to a fight, a sense of frustration, or a traumatic experience that you’d rather forget? The fourth level is discernment: Collect all the information you’ve gathered into a story that makes sense about the message your body is trying to send. If life is a journey, then body wisdom serves as a navigational system. The map is what Abrams considers the fundamentals of health: eating, sleeping, moving, loving, being part of a community, and having a sense of purpose. Sometimes we have to ignore our body’s needs temporarily in order to get things done, but it’s not a sustainable life strategy. With her office near Silicon Valley, Abrams often sees people who have turned ignoring their body’s needs into a lifestyle. Consider an athlete who develops an injury in training, and instead of seeking rest and physical therapy, turns to regular doses of ibuprofen for relief, while continuing to train as usual. Modern doctors are trained to recognize that lifestyle changes are the first thing to consider, but change is hard and appointments are short. A doctor typically only has time for a few general statements about diet and exercise, and unless patients are motivated, they’ll usually succumb to their old habits once they walk out of the office. As a result, the system turns to drugs by default. Abrams agrees that pharmaceuticals are occasionally necessary, but says most of the time drugs only silence what our body is trying to tell us. Another example would be someone who doesn’t change his diet because Prilosec takes care of his acid reflux or Lipitor takes care of his cholesterol. The lab results may look better, but the body’s message likely has not been heard. Modern medicine is unique in that it is the only healing culture that does not have a word for general “life force” energy. There is no equivalent to qi (as it’s known in Chinese) or prana (as it’s known in Sanskrit) in a medical dictionary, yet this was a fundamental idea that guided health care around the world, before scientific inquiry became our primary way of understanding. For optimal health, Abrams recommends that we bring some of these old ideas back into our lives. “I’m a huge lover of science. I think it’s an amazing tool. It’s done remarkable things for us. We just have to come back into balance,” she said.